Honor your loved one with this eye catching selection from the Forevermore Jewelry collection. 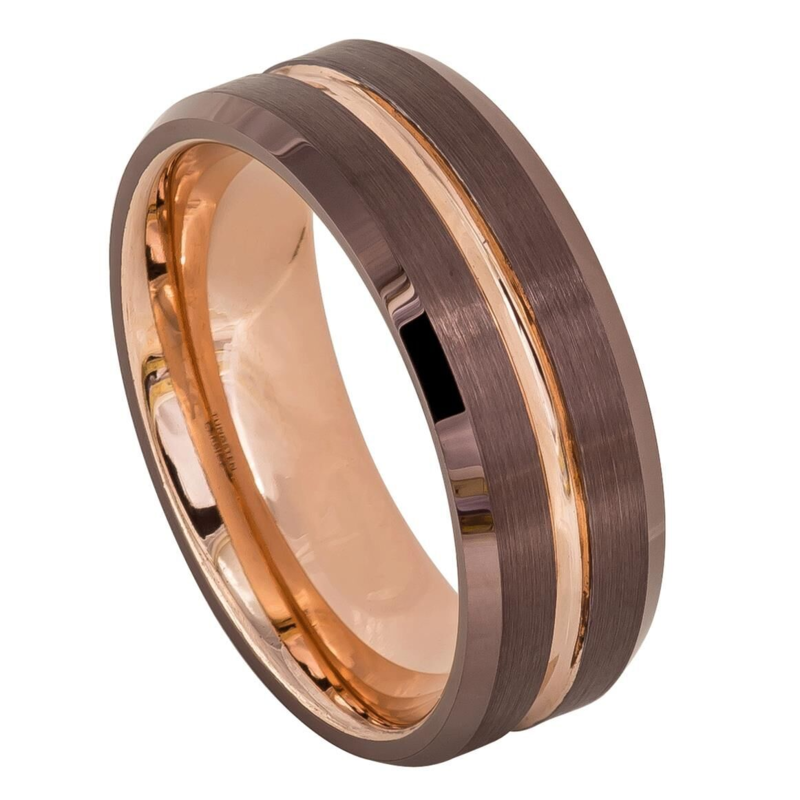 This striking wedding band for him incorporates two contrasting textures, dual brushed espresso brown tungsten stripes with a shiny rose gold center. 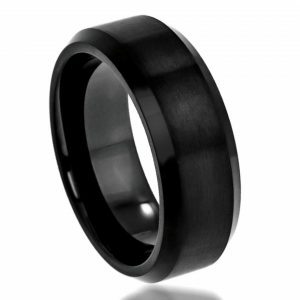 Forevermore Tungsten Carbide rings are the highest quality and the strongest rings available. 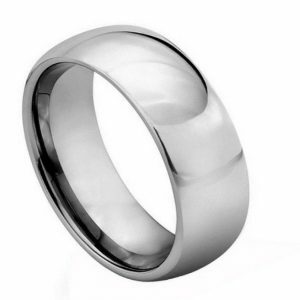 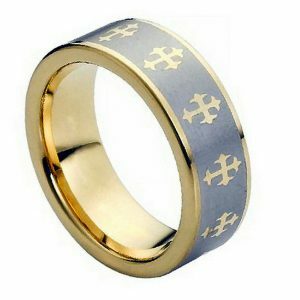 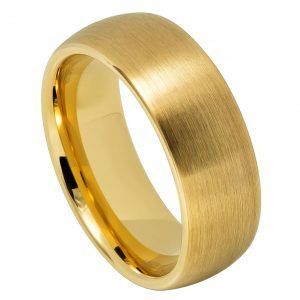 Tungsten Carbide rings are admired for their incredible ability to hold a high shine and their resistance to scratches.